Jo Cox was murdered by a man with links to neo-Nazi and fascist groups. Britain was warned about the risk of far-right violence. Something has to change. Let’s start with a few things we know. 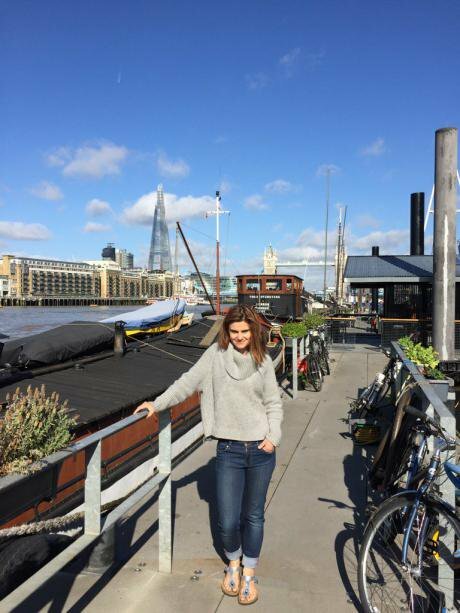 We know that Jo Cox, the Labour MP for Batley and Spen, was murdered yesterday. She was a woman who stood up against gender violence, a politician who spoke up for multiculturalism and an activist for some of the most oppressed peoples in the world. Each of these things is significant. 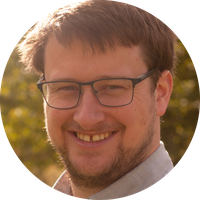 We also know that Thomas Mair, who has been arrested in connection with the murder, was listed in 2006 on the website springbokcybernewsletter as a subscriber to the magazine S.A. Patriot (“the South African patriot in exile”). This is the publication of the White Rhino Club, a white supremacist organization for supporters of a return to apartheid in Southern Africa. It claims to be in favour, among other things, of ‘imperial solidarity’, ‘global Western leadership’ and ‘separate development’ (ie, racial segregation). We know that Mair is reported by a number of witnesses to have shouted “Britain first” as he murdered the MP. There has been some speculation about the connection between this and the fascist organization “Britain First”, but as yet, no specific link between the two has been established. We know the Southern Poverty Law Centre in the USA has revealed that “Mair was a dedicated supporter of the National Alliance (NA), the once premier neo-Nazi organization in the United States, for decades”. The Law Centre’s papers also show that he bought from them instructions on how to make your own improvised pistol. On this basis, it seems almost certain that this was an act of fascist terrorism. It’s important to use those words, both of them. When the Woolwich murder happened, the British press were quick to call it terrorism on the basis that the killer was reported to have shouted “Allahu Akbar”. With this killing, committed by a white man shouting a fascist slogan, Britain’s two biggest selling newspapers, the Sun and the Daily Mail, highlight his mental health problems, despite the fact that his fascist links had started to emerge long before they went to the printers. It was also an attack by a man on a woman. We shouldn’t ignore that. It’s not an original observation to say that murder is almost always committed by men. And neither is it a new discovery that far-right hate is bound up with misogyny. Many fascist men hate nothing more than strong left-wing women. Such attacks haven’t only been matters of speculation. In 2013, Pavlo Lapshyn was jailed for 40 years for stabbing 82-year-old Mohammed Saleem to death as he made his way home from praying, and bombing mosques in the West Midlands, in an attempt to start a race war. In 2014, English Defence League follower Ryan McGee was jailed just ‘days, weeks or months’ from perfecting a nail bomb. I could go on. There’s one more thing we know. And it seems so obvious that it shouldn’t have to be said. Far-right politics doesn’t emerge in a vacuum. No one is born hating so much. It is sparked and fanned, fed and nurtured. 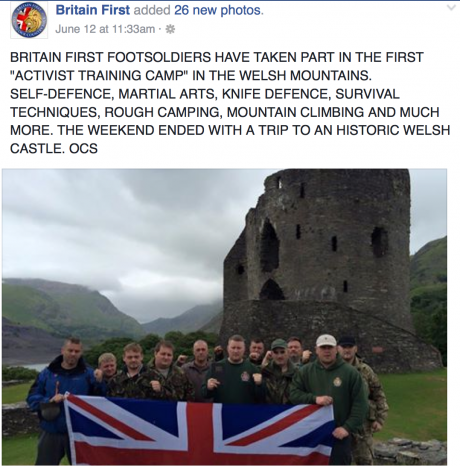 Whilst there is no evidence that Thomas Mair had connections with the organisation Britain First, it shouldn’t come as a surprise that they advertise on their Facebook page that they spent last weekend in Wales training in knife fighting. Far-right violence has been in the air for a while in Britain. We were warned, in specific terms, by a range of experts. Many had already said that the tone of debate in the referendum risked bringing it to a head. Yesterday, it struck. An MP has been killed. We can no longer ignore it. We can no longer pander to those fanning it. Something has to change.